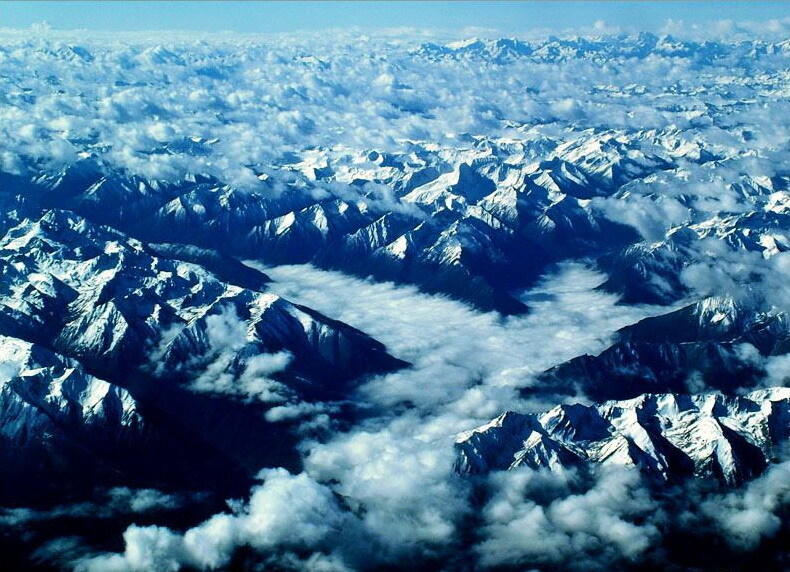 Tibet (Xizang), the Roof of the World, remained unknown to the world until the beginning of the 20th century. Entering Tibet, many feel as if they've entered an entirely new world. 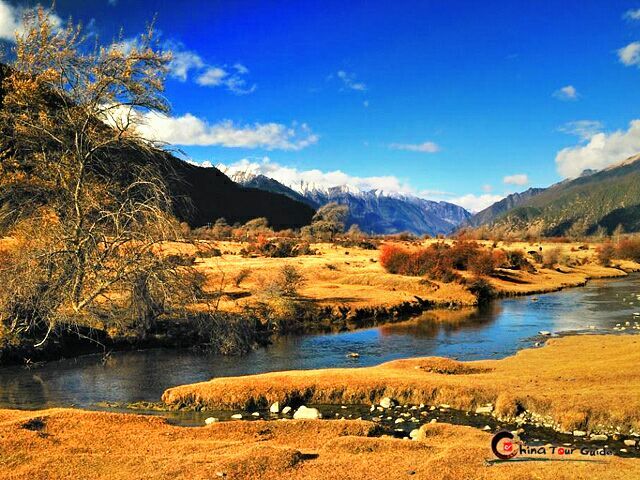 It is divided into seven regions: holy Lhasa, dramatic Shigatse, wild Ngari, embracing Shannan (Lhoka, Lhokha), watery Chamdo (Qamdo), picturesque Nyingchi and frigid Nakchu (Nagqu). 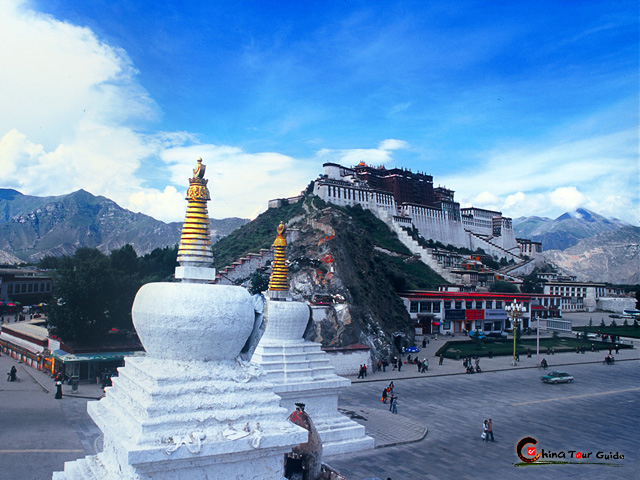 The majestic Potala Palace in Lhasa is the first attraction most people visit upon arrival; Shigaste amazed all the people with the world’s highest mountain - Mt. 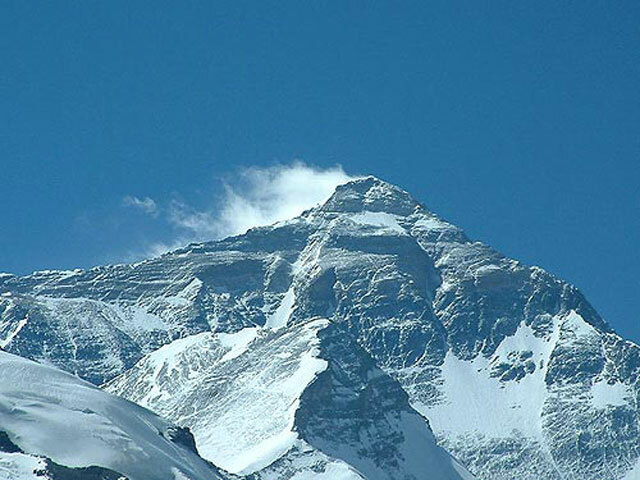 Everest; the vast stretch of wild land with sacred Mt. Kailash and Manasarovar Lake in Ngari is the heaven of adventurers and explorers; Shannan boasts Yumbu Lakang and Tombs of Tibetan Kings, etc. Climb upon the highest mountain in the world, close touch with the holy spots and cultural relics, deep into the mysterious wild land… all of them will give you a life-enhancing Tibet tour. Potala Palace: Featuring a charming blend of Tibetan and Han architecture, this once served as the Tibetan imperial palace. At 3,700 meters(12,139 feet) above sea level, it is the highest palace in the world. Jokhang Temple: Jokhang Temple is the spiritual center of Tibet and the holiest destination for all Tibetan Buddhist pilgrims. Yamdrok Lake: One of the three largest sacred lakes of Tibet with two long arms of water, making it look like a scorpion from the sky. Its beaufiful water is considered to have special power. Mt. Everest (Mt. 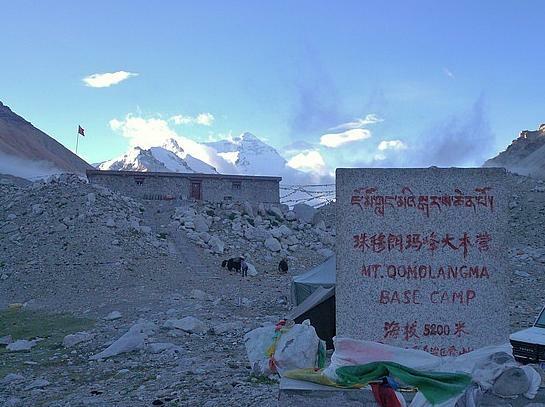 Qomolangma): Regarded as 'the Third Pole of the Earth', it is the world's highest mountain above sea level at 8,848 metres (29,029 ft), located in the Himalayas on the Nepal - China border. If you want to see more pictures about Tibet, please click here. 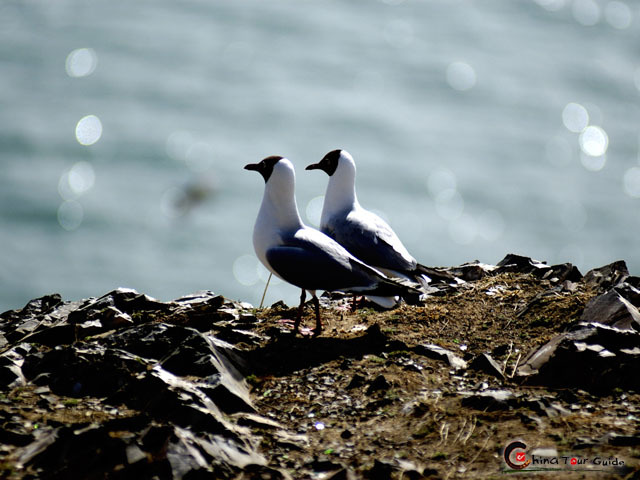 Single traveler on a budget trip to Tibet and want to join somebody? Or puzzled by the Tibet Travel Permit application requirement and don't know how to get through? 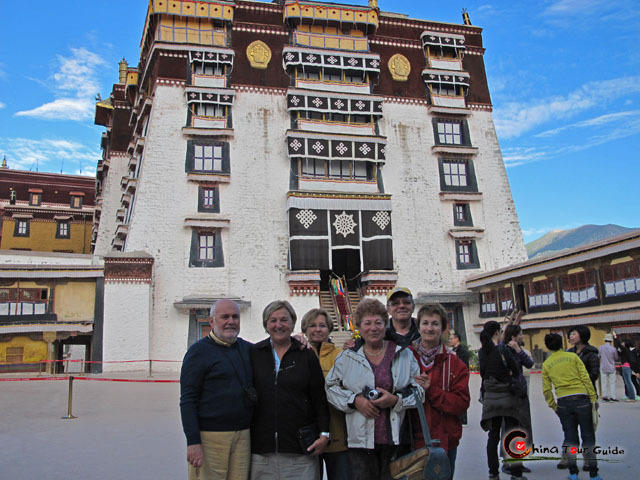 Here at ChinaTourGuide.com we have prepared an easy and convenient way for your Tibet tour – Tibet Self Join-in Group Tour, which enables you to get the Permit more easily, make new friends and save on budget. Rather than depicting the outline of Lhasa in your imagination, this 4-day group tour is a better way to throw yourself into this plateau holy city to savor the magnificence of Potala Palace, learn about the strong atmosphere of Tibetan Buddhist culture and experience the local life. 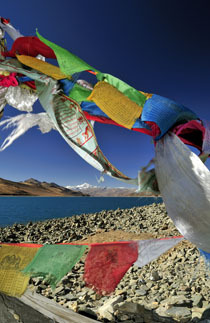 Join in this inpiring group tour to start your Tibet journey! You won't be disppointed. Surprise you! Best deal in Tibet now is calling you, let us discover the Rooftop of the World - Tibet! Just release ourselves from daily grid to lay eyes on this magical Buddhist kingdom. This group tour starts from Lhasa and also ends there, from the holy Potala Palace to awe-inspiring Mt.Everest, from secret Tibetan Buddhism to extraordinary sceneries of Tibet plateau, that definitely allowes us to explore all beauties of mysterious Tibet in 8 days. 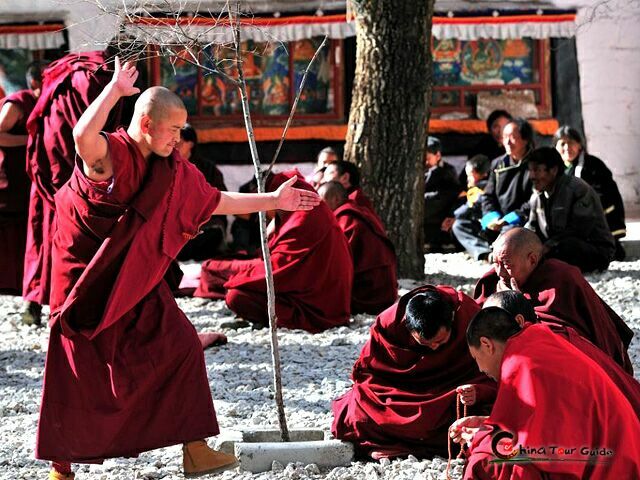 Every year, hundreds and thousands of pilgrims set foot on their pilgrimage to Lhasa, the holy city of Tibet. 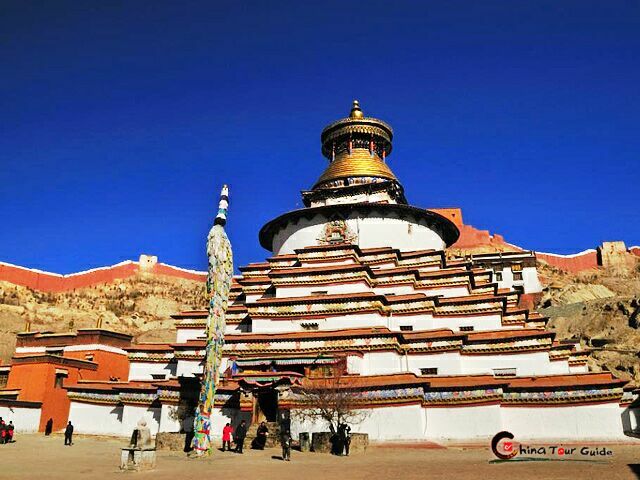 This 4 day tour can bring you to feel the superpower of the Tibetan Buddhism in Tibet, and you will visit famous Potala Palace, Jokhang Temple, Barkhor Barzaar, Drepung Monastery and Sera Monastery to explore the mysteries of Tibetan Buddhism. And let your soul be entirely immersed in this holy, amazing place! 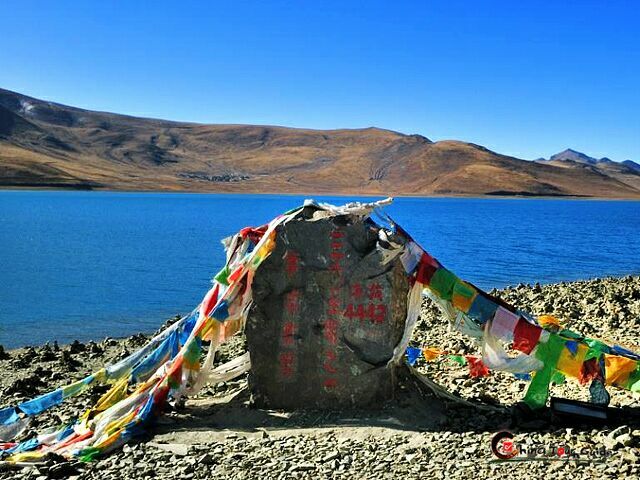 This tour combines the human landscape and natural sceneries of Tibet, presenting a real Tibet to you. For visitor who interested in local Tibetan people's life, we prepare a chance of local family visit for you. Thus, you can get a deep awareness of Tibet current situation, and along this trip, you can gain entire evolution both in spiritually and physically. 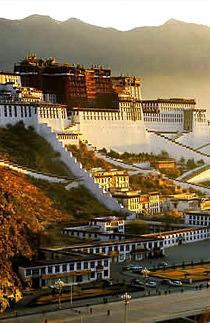 As the provincial capital of Tibet, Lhasa can represent the whole Tibet. Majestic Potala Palace, amazing Jokhang Temple with beautiful legend, and bustling Bharkor Street are just located in the city center. Drepung Monastery and Sera Monastery are worth visiting if you're interested in Tibetan Buddhism. 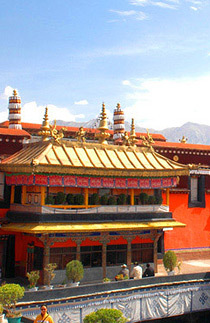 In addition, Lhasa also featurs Yambajan hot spring and holy Namtso Lake . Conquering the Rooftop of the World - Tibet, will become a life-enhancing experience. Magnificent Potala Palace, miraculous Mt. Everest, spectacular Yamdrok Lake and Karoula Glacier, as well as profound Tibetan Buddhist cultures and distinctive customs...you can directly touch this holy land, no more just inspire it from photos and videos, and burn it into your memory. 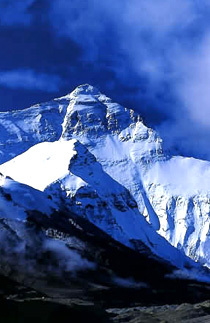 This tour contains the all the highlights in Tibet - Roof of the World. We travel between Lhasa, Shigatse and Gyantse in 6 days to see Tibet landmark - Potala Palace, Tibetan pilgrims belief center - Jakhang Temple, busy hive in Barkhor Street and holy Yamdrok Lake. Join this tour to make an unforgettable memory and experience of your life. Tibet fascinates many people. It is known for its exotic culture, unique highland landscapes and friendly people. 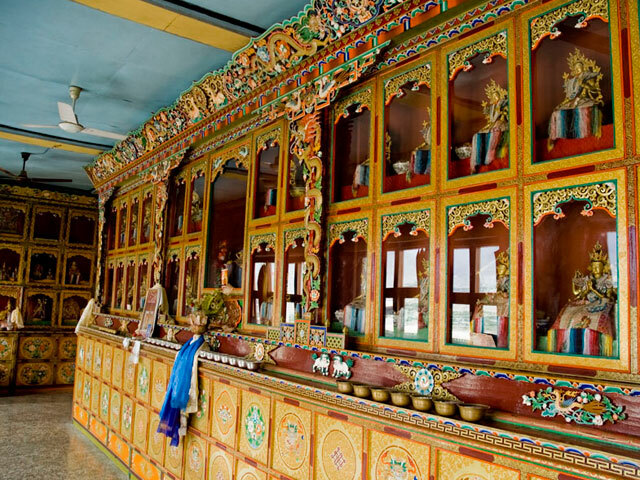 This tour takes you to the holy cities of Lhasa, Tsetang and Shigatse. It will create a lifetime of memories. This adventure tour starts from Lhasa and also ends there, from the holy Potala Palace to awe-inspiring Mt.Everest, from secret Tibetan Buddhism to extraordinary sceneries of Tibet plateau, that definitely allow us to explore all beauties of mysterious Tibet in 8 days. Join us to discover a spectacular Tibet in 8 days, this tour delves into Lhasa, Gyantse and Shigatse, which offers you a complete impression of Tibet's religion, cultural treasures, and dreamlike landscape.